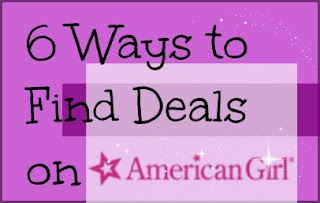 Are you looking for ways to find discounts on American Girl Dolls? If so here are some tips and tricks. First know that American Girl dolls are expensive. But, their knock offs (found at Target, Walmart and Toys R US) are not comparable when it comes to how their faces look and their ability to stand on their own. For a child under age 6 there is likely reason to go with the less expensive option, but for longevity consider buying a real American Girl doll for your child (or for yourself, yes adults also collect American Girl dolls). This post contains some affiliate links, which help to keep this site going! Costco, especially when they have their $100 in gift cards for $80. These are hard to come by and not all Costco stores carry them. The gift cards are good online or at the stores. If you couple the 20% off when you spend all $100 with online or instore deals, then you definitely score big! Jills Steals and Deals - These come only a few times a year and if you have other things to do, it isn't necessarily a deal - why? Because you may spend 4 hours trying to check out! Ebay - many used CURRENT dolls go for less than retail and either in excellent condition or easily fixable condition. For retired dolls these often are more expensive. 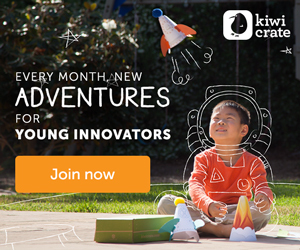 Amazon - but usually only on accessories and the mini dolls. For example, the MaryEllen mini doll is for under $20 on Amazon right now and the Caroline one is currently $17.60, and these normally goes for $25 and shipping is expensive through AG site. BST sites via facebook. I trust Facebook a bit more than Craigslist, where, of course you can also find them. Meet in a public place, ask to see photos and only buy from people with profiles that "seem" legit. Way back when I had beautiful dolls with china faces and body parts-I think my Mom still has a couple of them in her closet somewhere. I hope she gives them to my grand niece-definitely collectors items. The American Girl Dolls will or are already collectors items and the extra you spend of well worth the price! I am still bittersweet about American Girl dolls. I always wanted one as a kid but never got one. My kids are all grown now, but I would tell my cousin about this. She has three little girls, aged 8, 5 and 1. They'd love to have American girl dolls. My niece is watching for things like this for her little girl. I'm so excited to be able to tell her these ideas! These are some great ways to save! My daughter just got a bitty doll so I'm sure it's just a matter of time before she wants the rest.